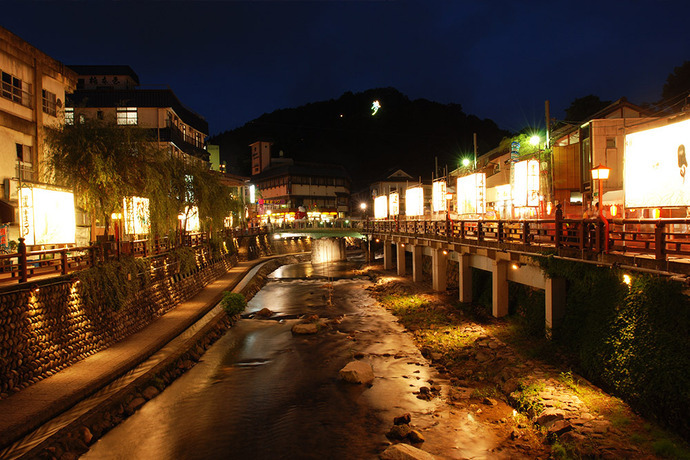 The beautiful “Lantern Picture Scroll" is the scenery of Yumura Onsen town lined along the river and wrapped in fantasy when lit up at night. 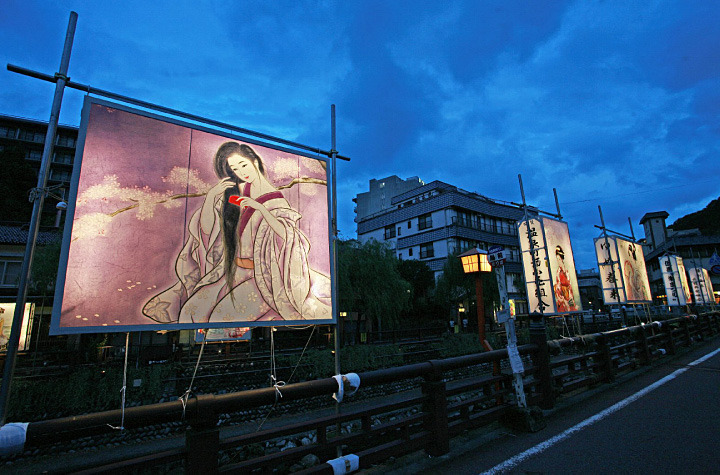 One of the summer traditions is an event where lanterns get sent down with river at dusk. It attracts many people to the area. The nights are cool in summer along the river and the lantern event also includes a bonfire and concert.